We are saying good-bye to September and hello to October this week! 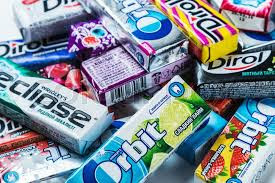 September 30 - National Chewing Gum Day! Do you see your favorite? October 1 - National Homemade Cookie Day! October 2 - National Name Your Car Day! October 3 - National Techies Day! October 4 - National Taco Day! October 6 - National Noodle Day!